All the information and more than 5,000 scientific illustrations on the website have been researched, written and illustrated by Sheri Amsel. Sheri Amsel has undergraduate degrees in Botany and Zoology from the University of Montana and Master's Degrees in Anatomy, Physiology and Biomedical Illustration from Colorado State University. Ms. Amsel interned at the Smithsonian Institute in 1983 in Scientific Illustration, taught Anatomy and Physiology and Biology at three colleges from 1990 - 1997. In addition, Ms. Amsel has published more than 20 nonfiction children's books, two field guides for adults, and illustrated a myriad of books and interpretive signage on nature and science topics. Ms. Amsel has visited more than 400 schools nationally with science programming since 1995. She regularly speaks at NSTA (National Science Teachers Association) Conferences and does professional development for BOCES training educators to use online science resources and integrate the Next Generation Science Standards into curriculum. In 2009, Sheri Amsel was awarded the Elizabeth Abernathy Hull Award for Outstanding Contributions to the Environmental Education of Youths, by the National Garden Club. For more specific information about Ms. Amsel's background go to Sheri Amsel's In Depth Credentials at bottom. Dr. Scott Amsel is the website's animal consultant and answers questions for the "Ask the Zoo Vet" database. He has also contributed many of the animal movies and photographs. Dr. Amsel is an exotic animal veterinarian. He received his veterinary degree from Davis Veterinary School in 1984. 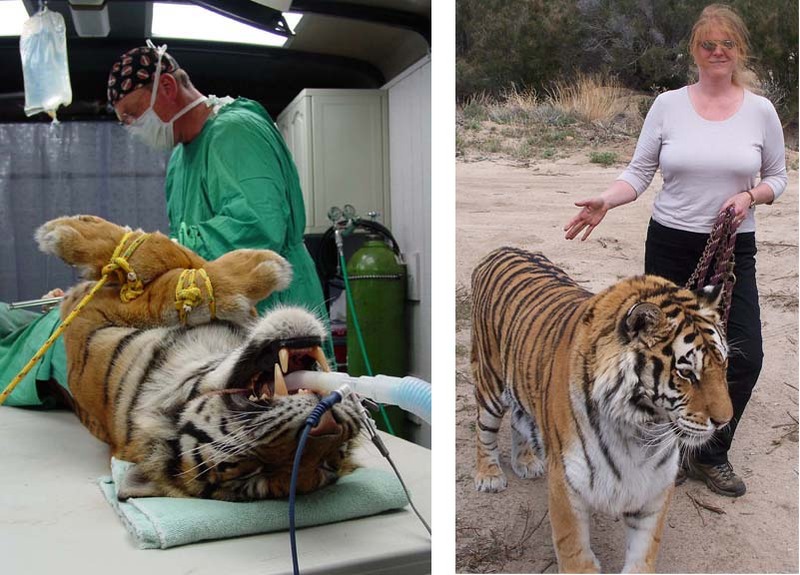 Dr. Amsel has worked as veterinarian at the Los Angeles Zoo, Disney's Wild Animal Park in Orlando, and the Aviculture Institute. He contributes his expertise to big cat rescue facilities throughout the country, speaks at conferences on tiger care and has worked for the Orangutan Foundation and Earth Trust to help promote the protection of exotic animals around the world. Dr. Amsel is Sheri Amsel's older brother and Ms. Amsel often accompanies him on visits to animal preserves to photograph and film animals and assist where she can. Author and Illustrator of nonfiction science and nature picture books for children and field guides for adults. More than twenty published titles with: Raintree Steck Vaughn, Millbrook Press, Nystrom Science, Adams Media, Pinto Press, North Country Books, etc. Adjunct Faculty at Plattsburgh State University, Clinton Community College and North Country Community College as teaching classes in Biology and Anatomy and Physiology. (Between 1990 - 1999). 2013: Featured Author at 2013 Mountain Lake PBS Writing Contest Celebration. 2009: Received the Elizabeth Abernathy Hull Award for Outstanding Contributions to the Environmental Education of Youths, by the National Garden Club.